With spring in full swing, it&apos;s time to create a lighter feeling for the months ahead. This time of year is our opportunity to shed the layers that kept us comforted in the colder days of winter and step into a fresh beginning. If you know me, you know I LOVE to detox, cleanse, change and refresh!! Out with the old and in with the new! Here in Hawaii, I am in the sun so much, especially this time of year — when the water is perfection and the temperature is just right. This makes it pertinent that I take care of my skin on a daily basis, which means finding ways to incorporate natural cleansing techniques. 1) Detox With Bentonite Clay Mask.- Composed of aged volcanic ash, bentonite clay is a common ingredient in detox and cleansing products due to its ability to absorb and remove toxins, heavy metals, impurities and chemicals. *Put a cup if clay in your bath, add water and make a face mask, or add a tablespoon to water. 2) Cleanse With Essential Oils. - Essential oils provide incredible benefits for the skin. Frankincense- has antibacterial and anti-inflammatory benefits to the skin, and is also cytophylactic, which means that it helps protect existing cells and encourage new cell growth for youthful skin. Geranium- regulates oil production and reduces acne breakouts, while also improving the skin’s elasticity and tightness, which reduces the appearance of fine lines and wrinkles. Lavender- all natural tool for helping alleviate the pain associated with sunburns, and works to heal the skin faster. Coconut oil is touted for its many medicinal properties, including serving as an incredible moisturizer. But that’s not the only benefit it has on the skin. Brimming with medium chain fatty acids like lauric acid and caprylic acid, which are metabolized into potent antibacterial, antiviral and antifungal agents in the body, you’ll both cleanse and moisturize simultaneously. 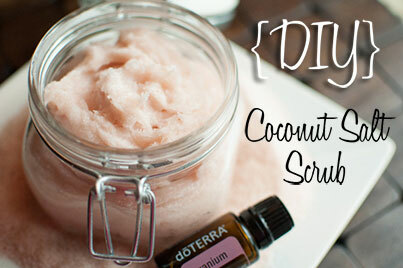 *Add essential oils to your coconut oil (or other carrier oil) before you apply it to your skin.